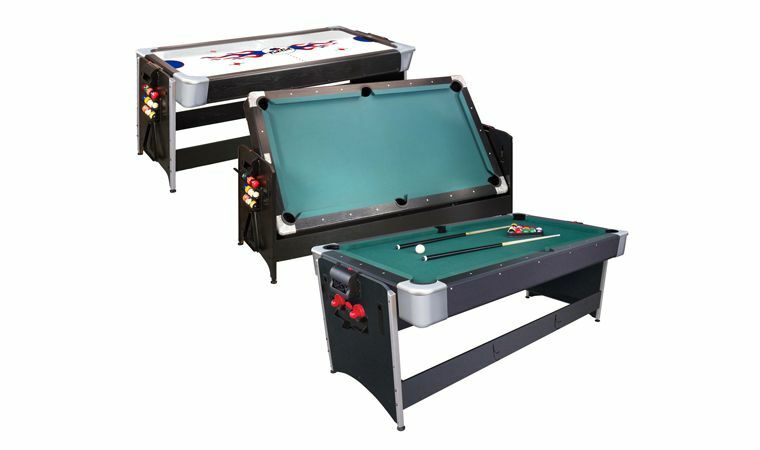 The Pockey 2 in 1 Game Table transforms from an air hockey table to a billiards table in a snap! More info. Sometimes it can be difficult to cram all of your favorite games and hobbies into one room. The solution? Multi-Game Tables. These nifty game sets convert into a variety of popular games including poker tables, pool tables, air hockey tables, ping pong tables, and more! This a great way to maximize space without limiting your choices while you and the guys do “man stuff” in your Man Cave. 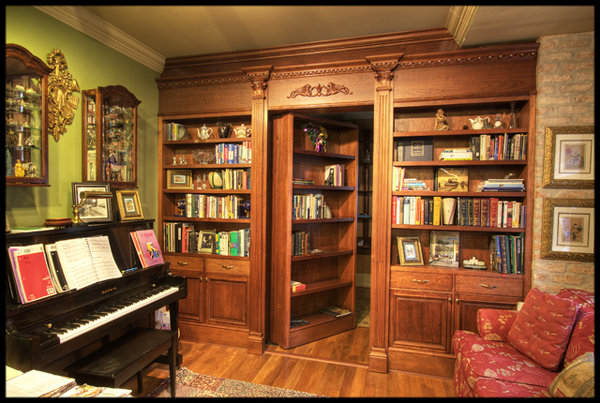 This is a fundamental concept that will change the entire experience of your home game room. Using a back house will allow you to breathe fresh air and enjoy games without having to worry about keeping it down. Away from the house, all of the excitement will be out of sight and out of mind for your wife or mom. Since your game room will experience heavier use than other areas of the home, you may want to update the floor with a polymer liquid coat or durable floor tiles. These materials are commonly used in the garage and can save you time cleaning up and replacing more delicate materials like tile or natural stones. Don’t worry about scuffing up your beautiful wood flooring, try something more durable instead! You can personalize your game room with old trophy’s (fake or authentic), collector’s items, memorabilia, and sports novelties from your favorite team. Deck out your game room with decorative pieces that will paint your inner-self all over the walls. 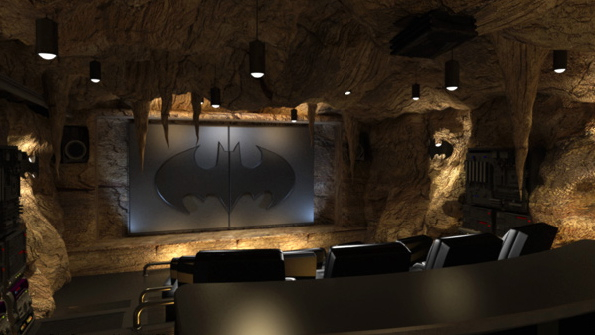 Be creative with this one, you can use many different ideas for your game room to create something that stands out. When you walk into a casino, the first thing that you’ll notice are all of the flashing lights. 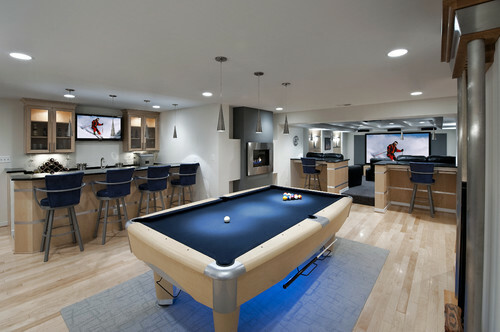 They are attractive and exhilarating, building excitement in the room and making it feel like…well, a game room! You can try recessed lighting with colored light bulbs or run LED lighting underneath cabinet fixtures. Harness a lighting strip underneath your game table for the ultimate look! Don’t forget to keep a bathroom nearby. Nothing is worse than having to stop an intense game for an extended bathroom break. It kills the adrenaline and can effectively get you out of your zone. Adding a bathroom to your game room is a large project but it can totally be worth it in the long run. Lesson of the Day: Don’t kill the vibe. Make sure you have enough seating in your game room to provide adequate space for you and all of your friends. Use sofa sectionals that seat multiple individuals to reduce the wasted space of arm rests. Also, throw in a couple of extra stylish couches that your friends can claim as “their seat” in the game room. Sometimes those old beat up chairs can prove to be the most comfortable. Try repurposing them for your game room! Throw up a dart board in your game room to kill time while players wait for their turn. Darts boards are fun and inexpensive. You can hang one on the wall and enjoy a challenging game that will test your hand-eye coordination! 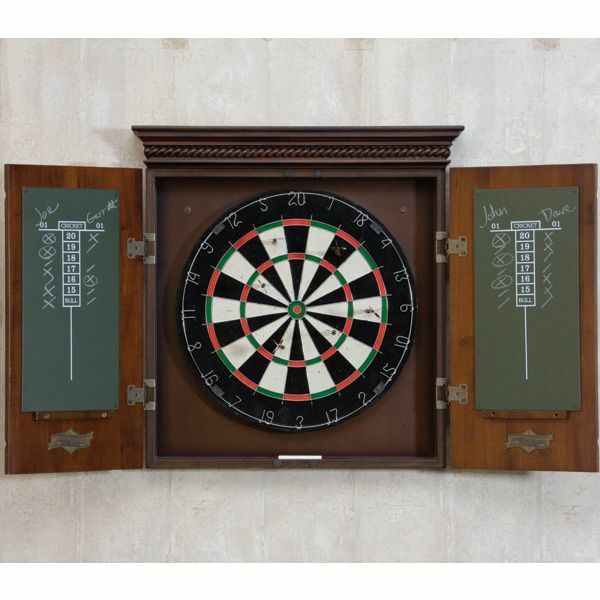 The Cavalier Dartboard folds open and has chalkboard on door panels to make score-keeping easy! More info. *Game Tables Online does not advocate underage drinking. Please consume responsibly. This entry was posted in Game Room Decor by admin. Bookmark the permalink.